Social media can play a humongous role in establishing market contacts and become a convenient mode to market your products and services, if you are a B2B business. Social media can integrate your business-to-business marketing, while extending your contacts and also highlighting your marketing expertise especially in the areas of trade and retail. 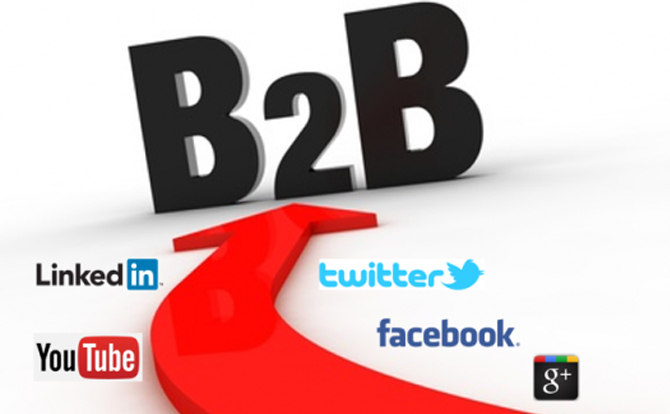 Thus social media is a convenient and essential marketing mode for B2B businesses as it is in B2C, as it only allows you to keep you grounded and provide you with a holistic marketing and industry scenario. · Characterize your target audience: It is important to determine who your target audiences are and which social media site you may be using to reach them. · Engage before you act: Once you have kick-started a social media strategy for your B2B business and collected the necessary connections and contact, engage in conversation with your contacts before aggressively pursuing your marketing strategy through the medium of social media. · Communicating the marketing message: In order to market your products and services, it is of quintessential importance to ensure that your message has the right tone and attitude. The key to the marketing success is to provide high-quality informative content; thereby driving through thought-leadership. · Maintaining caution: The use of the social media marketing should be done with caution to avoid sounding in terms of direct sale, which may disappoint you and your campaign. · Monitoring your social-media marketing success: Using analytics will often help you to determine your marketing efforts ensuring that you have taken the right measures of social media marketing. Some of these important analytic tools used to analyze your strategy include Google Analytics, Omniture and Marketo and Hootsuite (for Twitter). 1. It is an effective mode to provide quality-leads. 2. Provide a value to your marketing content by being the thought-leadership in your respective industry. 3. Tapping in to Groups or Communities that is biggest opportunity for your business. As Milan Kundera rightly puts it that ‘Business has only two functions- marketing and innovation’, B2B businesses therefore need social media to innovatively market their products and services.